Federal PGX Labs Fraud Defense Attorneys - Oberheiden, P.C. Over the past few years, the United States government has placed a particular focus on detecting and prosecuting healthcare fraud among laboratories, even issuing several Special Fraud Alerts regarding common types of fraud committed by laboratories. Federal investigators are currently scrutinizing financial relationships between laboratories and referring physicians for violations of the Anti-Kickback Statute and the Stark Law, as well as laboratory billing practices for unlawful billing practices that violate the Health Care Fraud Act and the False Claims Act. Healthcare fraud includes a wide range of abuses of healthcare programs and occurs in a variety of fashions. 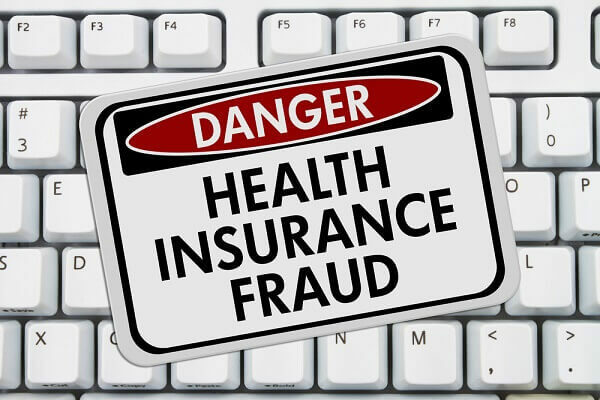 The most common categories of healthcare fraud include paying kickbacks for federal patient referrals, submitting false or misleading bills to healthcare programs for payment, and billing healthcare programs for medically unnecessary services. Common targets of healthcare fraud investigations include physicians, owners and operators of auxiliary medical service businesses (laboratories, pharmacies, etc. ), owners and operators of hospice or home health agencies, and medical marketers, but other individuals, such as lower level employees of medical service providers, may also be subjects of an investigation. Given the myriad of laws concerning healthcare fraud, the penalties for violation naturally vary in severity. Whereas some healthcare regulations merely provide for civil penalties, such as the Stark Law, most healthcare statutes provide both criminal and civil penalties for violations giving prosecutors the discretion to choose whether to pursue either criminal or civil charges against a defendant. As a result, the same general activities can often give rise to either a civil or criminal investigation, and the target of the investigation will not know the nature of the investigation at its outset. This is particularly true for investigations of PGX laboratories where recent incidents of prosecution have varied between civil and criminal charges. At Oberheiden, P.C., determining the nature of a healthcare fraud investigation as early as possible is a critical element of our defensive strategy. As former healthcare prosecutors, we have a unique knowledge of what clues to look for regarding the nature of the investigation. For example, if a laboratory receives a subpoena from the Department of Health and Human Services’ Office of the Inspector General (OIG), that usually indicates a civil investigation. On the other hand, if a laboratory receives a grand jury subpoena, that typically suggests that the investigation is criminal. From our experience representing hundreds of clients under investigation, we also know that investigations may transition from civil to criminal, or vice versa. Thus, our top priority at all times is avoid criminal charges, including ensuring that civil investigations do not lead to criminal investigations and tactically managing criminal investigations in a way that will result in only civil charges or no charges at all. What Are the Penalties for Healthcare Fraud? The most common form of civil penalty is a civil monetary penalty (CMP), which is essentially a fine. While courts may impose CMPs on both individuals and businesses, they most often use them to penalize companies. As an example of a CMP, the Federal False Claims Act (31 U.S. 3729) provides for CMPs of up to $21,563 for each violation, in addition to other penalties such as damages and attorneys’ fees. Civil penalties also include the government’s recoupment of monies improperly received by defendants and a violator’s payment of the government’s damages as a result of the fraudulent scheme. In some cases, courts will order violators to pay up to three times the government’s actual damages. Courts may also punish individuals or companies found liable for civil fraud changes by ordering them excluded from any future participation in federal healthcare programs. Individuals found guilty on criminal fraud charges may face lengthy prison sentences and probation. As an example, the Criminal False Claims Act (18 U.S.C. § 287) permits prison sentences of up to 5 years. Criminal penalties may also include criminal fines.